Introducing our exquisitely handcrafted mini caskets, each with a rich lacquer finish. 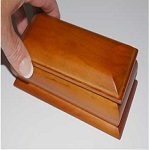 Just as no two pieces of wood are exactly the same, each mini casket has its own warm identity. 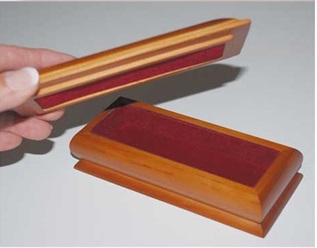 Wood is made from pine with a velvet lining. 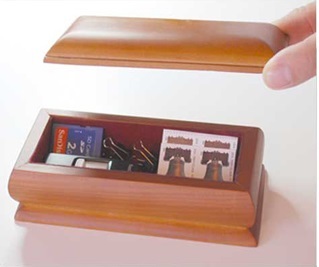 This piece can be used for office items: paper clips, memory cards, stamps â€” or personal items: cuff links, watches, lapel pins, tie clips, precious jewelry.